Patent and Trademark Resource Centers are excellent places to conduct research on historically significant patents, trademarks, inventions and inventors. PTRC librarians specialize in tracking down materials of this nature. The Orono PTRC has many books and other materials intended to assist historians, genealogists, and the like, in finding very old patents, trademarks and related information. In addition, the Patent and Trademark Resource Center Association website has a listing of websites, databases, spreadsheets, and other tools specifically for conducting research of a historical nature. Below (and in the column to the left) are some of the materials you can find at the Orono PTRC. Fogler Library owns volumes of the annual report for the following years: 1842-1845, 1847-1871, 1873-1876, 1878-present. Thanks to the University of Michigan Libraries and Hathi Trust Digital Library, many of these reports are now available and searchable online. Full text available on the author's website. Lists patents by one alphabetical subject listing. It provides the inventor's name, place of residence, date of issue, and patent number. 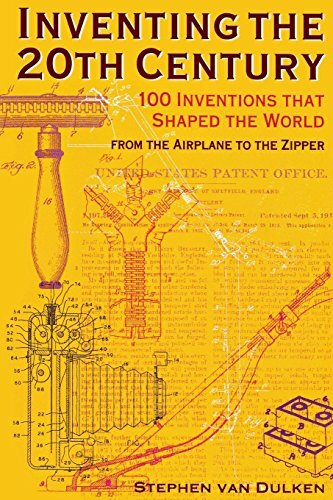 Where there are many inventions under the same subject, it is helpful that the patents are arranged in alphabetical order by the inventor's name. At the end of volume 3 are separate listings for reissues, design patents, extensions, disclaimers, trademarks, and additional improvements. Electronic version available at The Internet Archive, among other places.